A city of blinding lights - Sims style. Welcome to Downtown Simsville! With many different bowling lanes, nightclubs, restaurants, shops, parks, and gardens, your Sim is sure to find something to tickle their fancy. Drive down yourself, or take a cab. Carpool with a friend. 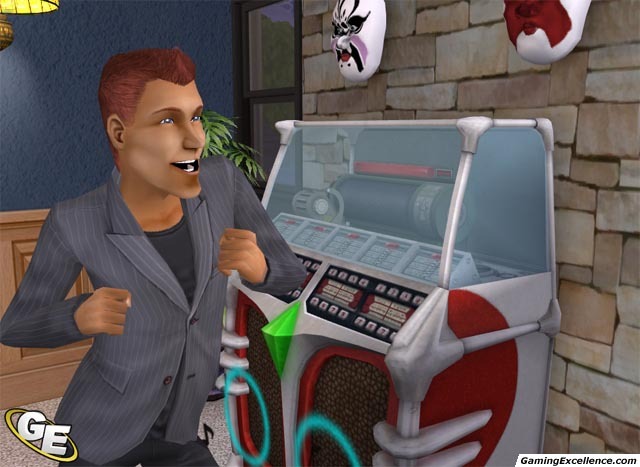 The options are endless in this most recent expansion for The Sims 2. 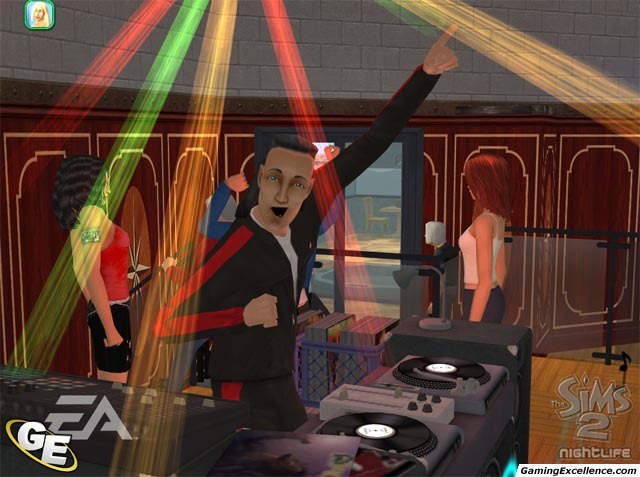 The Sims 2: Nightlife Expansion Pack has so many great things to offer. Start out in one of the neighborhoods; create your Sim and their humble abode. Giving your Sim a driveway and a car means that they can go visit friends, go to community lots, and venture Downtown. There's also a ton of new wall, flooring, and furniture styles to choose from, so your Sim will never feel cheated on their house design. It's this level of freedom that has always made the Sims 2 so popular, and it continues this tradition in this most recent expansion. 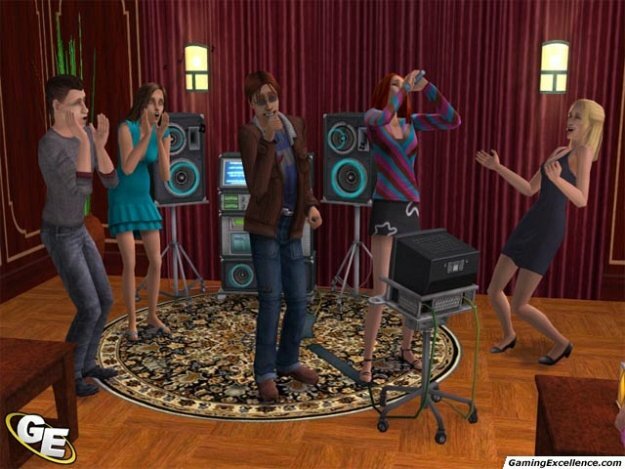 Sims have some new feelings as well. When creating your Sim, you can select its turn-ons and turn-offs, which can be anything from fitness levels, to hair color, makeup, or even vampirism. 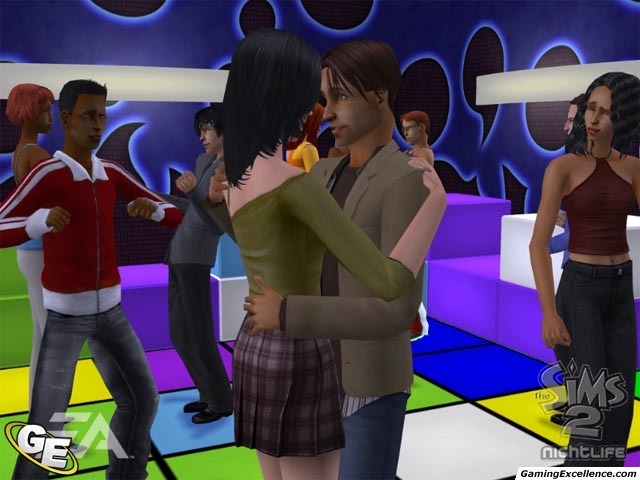 When your Sim is in a room crowded with people, click on them and choose "Scope Room" to find someone that you will be attracted to according to your turn-ons. 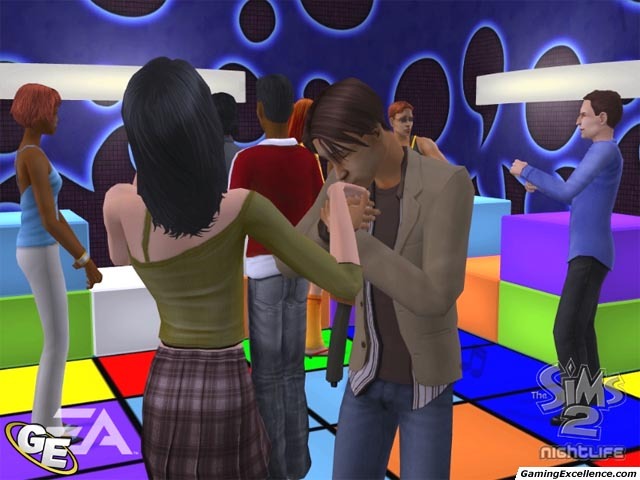 This means you don't have to waste time talking to someone, trying to figure out whether or not your Sim will be attracted to them. Watch out though - if you're on a date, and you select "Scope Room", your date will become furious with you, with hilarious results. Their picture in your relationships bar will turn red, and you'll quickly become enemies. Odds are good you'll get to see some fur fly first though. The redness of their picture will go down systematically like time remaining on a clock, but it will take more than a few Sim days and some kind-hearted efforts for your significant other to be able to talk to you again without any crying or yelling. The Downtown neighborhood has many great places to go. Of course, you can also select a sandbox neighborhood and build one of your own. 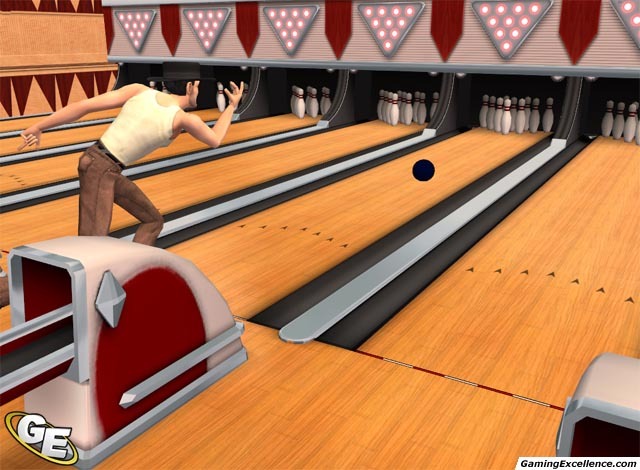 The pre-existing Downtown has three bowling alleys, quite a few shops and parks, and several restaurants, lounges, bars, and clubs. Go dancing, stargaze, order some filet mignon for you and the rest of your table, or ponder over the flaming toilet in the museum. 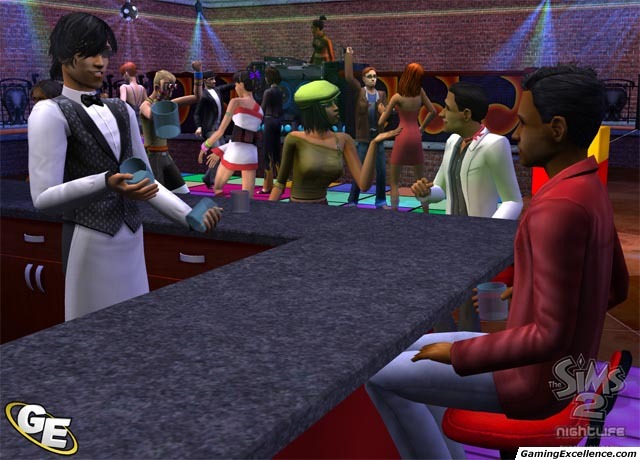 There are many options, and several people for you to meet at each place. Or, you can call up some friends and go on a group outing, where you can just hang out and dance, or simply go for a nice dinner. You can get to Downtown either by car or by calling a taxi. In order for your Sim to have a car, they must have a driveway. When you build your Sim's house, you'll want to start with the driveway as they can only be placed on a set number of 'reserved' squares. Add a garage onto your driveway extension if you like. Then, what can you do to get your Sim in a brand new car today? Head to the buy mode and pick a car of your liking, expect to pay a nice big sticker price. Start out with your normal hunk of junk, and move up to the super hot sports car. Choose the color, too. This doesn't change the dynamic of going to work, as if you have a job, your carpool will still be there to pick you up on time every morning. Fortunately, it doesn't take long for the Downtown lots to load - Maxis has really optimized the game to lessen the load times. As in the University expansion pack, many more wallpaper, paint, and brick textures are available, as well as several new flooring options. You can buy some great new workout and entertainment machines for your Sim, and some new objects to help gain skills points. Some new sound clips and music have been added, in terms of car sounds and background music. The new sounds are great, albeit some of the new songs are more like remixes of those found in the original release. Nevertheless, they don't detract from the game at all. 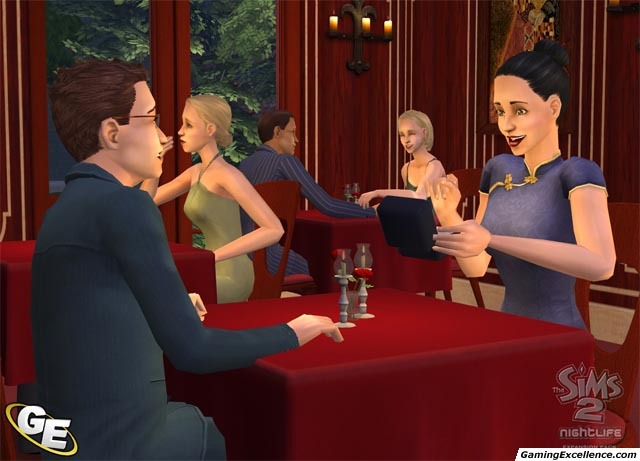 The major attraction to this game is the ability for your Sim to have their own car, and venture to places unseen before. It adds a completely new level of freedom, exactly what the series is about. 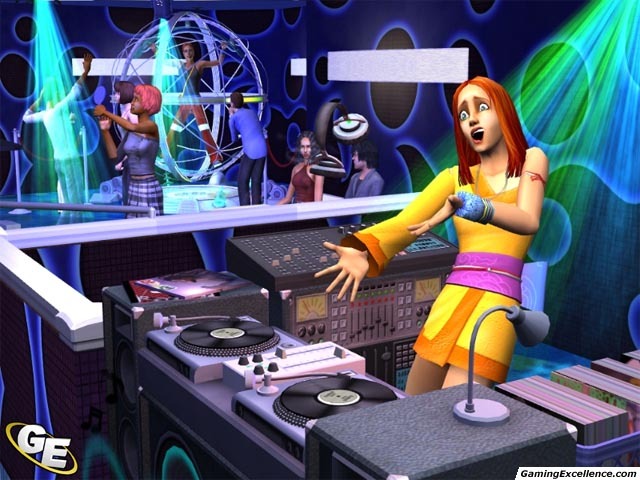 This is something that Sims fans have been waiting for since the series inception many years ago, and it has finally arrived in Nightlife. The only enhancements that would improve the game further are the ability to create curved staircases and walls, or split-level houses with basements on the new size lots. 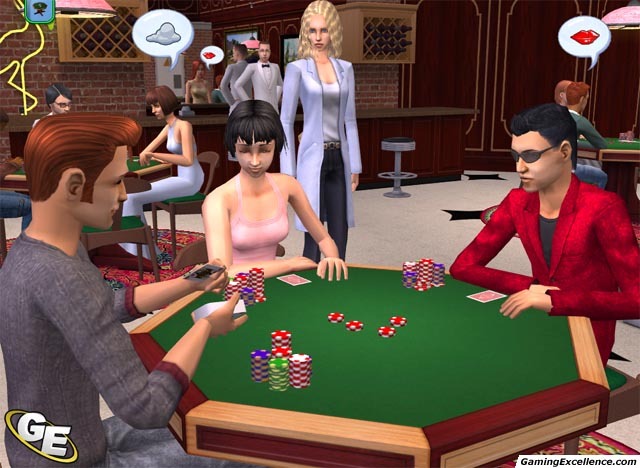 Overall, The Sims 2 Nightlife is an excellent expansion pack offering up lot of replay value, new travel options, vehicles, and places to visit. 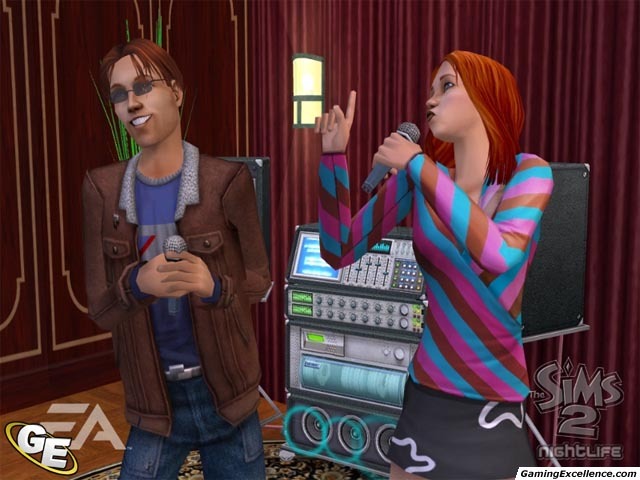 Even if these options don't interest you, the new ways to interact with other Sims will keep you playing this game long into the next expansion pack.